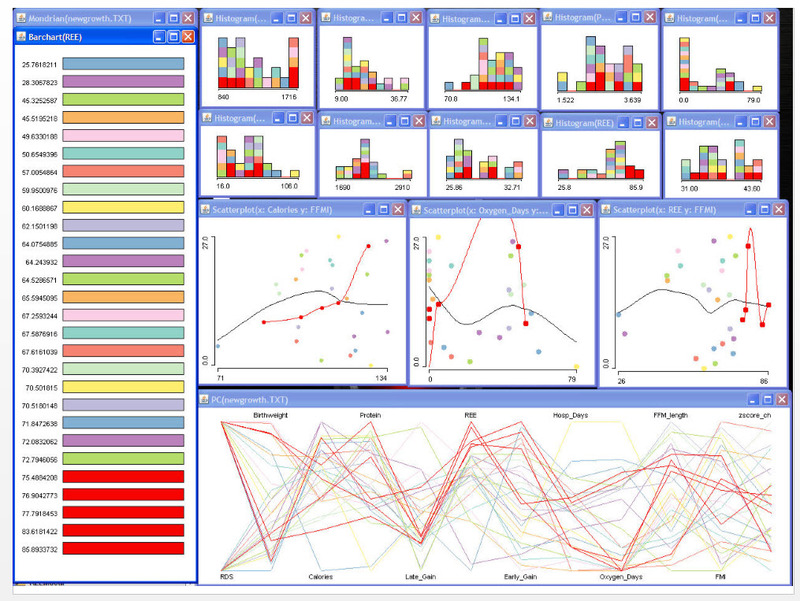 Mondrian is a general purpose statistical data-visualization system. It features outstanding interactive visualization techniques for data of almost any kind, and has particular strengths, compared to other tools, for working with Categorical Data, Geographical Data and LARGE Data. All plots in Mondrian are fully linked, and offer many interactions and queries. Any case selected in a plot in Mondrian is highlighted in all other plots.